You love your veggies! Don’t you wish you had a way to enjoy them more, maybe even year round? Having a greenhouse in your backyard is a great way to make this possible. 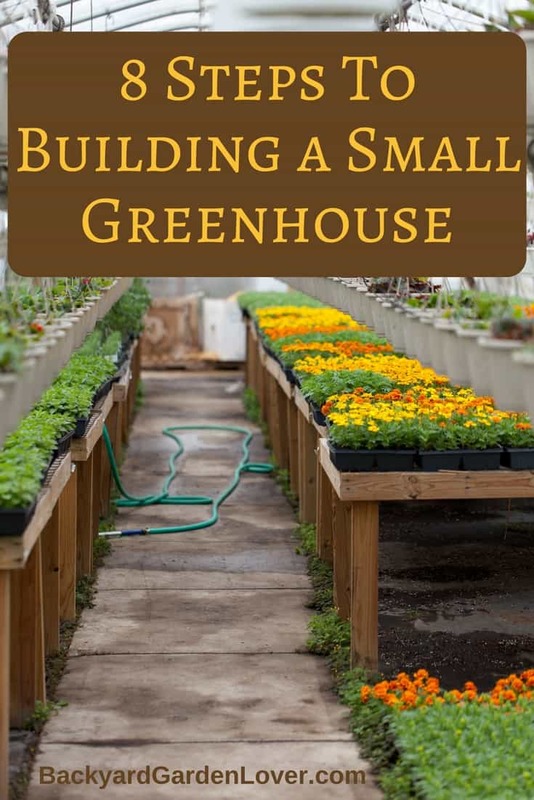 Building a mini greenhouse isn’t too difficult. All you’ll need is a good set of plans, some tools and time. Let’s see how to build a small greenhouse without too much trouble. 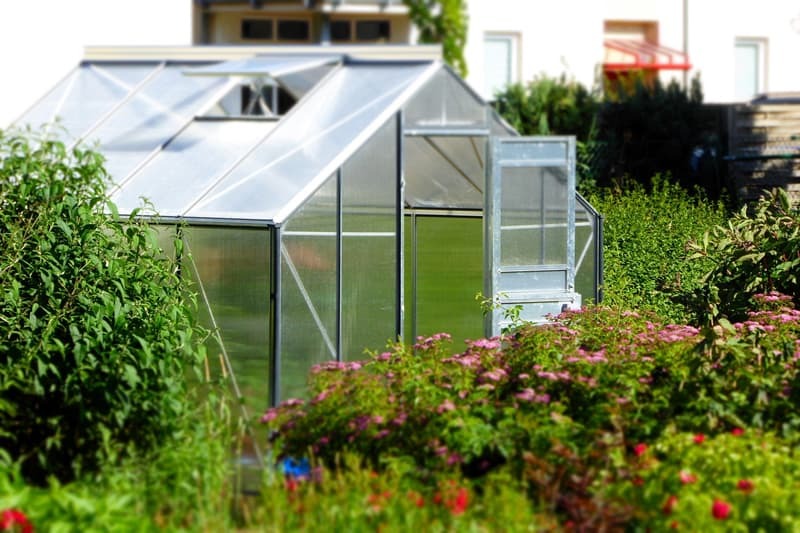 Even if your garden is really small, you can still enjoy fresh vegetables and herbs you grow in your own greenhouse. 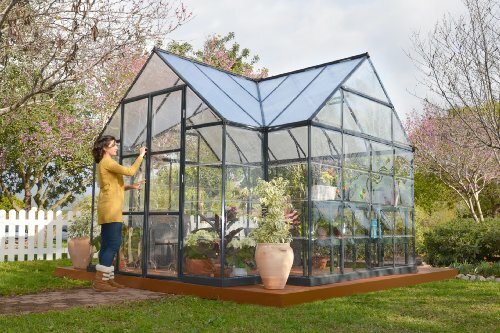 Building a modest greenhouse can be as simple as getting a kit you can assemble in just a couple hours. There are several options: from plastic to glass, you can choose the one you like. 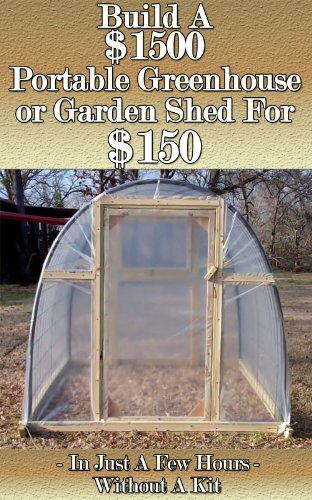 This is my favorite method of building a miniature green house, because it’s the easiest and it can be build really cheap. 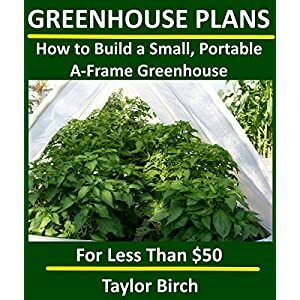 How to Build a Small, Portable A-Frame Greenhouse with PVC Pipe & Plastic Sheeting for Less than $50 (Greenhouse Plans Series) If you love the DIY route, you can build a sturdier structure. Just be aware that it will be more labor intensive. 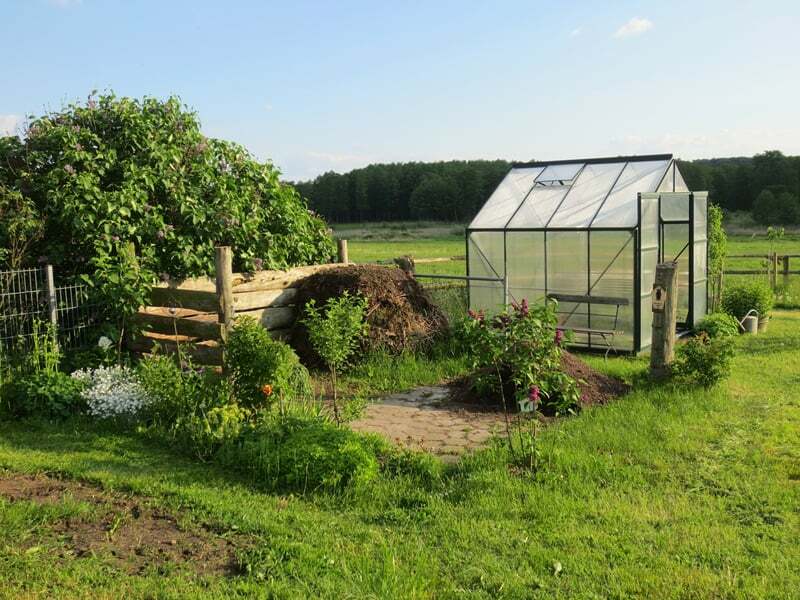 Choose the area where you would like to place your new greenhouse. Make sure the land is level and choose an area where water can drain well. A partly shaded area would be ideal. This way your plants can benefit from the sun without being over-exposed. Use a shade cloth to limit the amount of sun your plants receive. Keep in mind that you’ll need access to water and electricity when choosing your location. 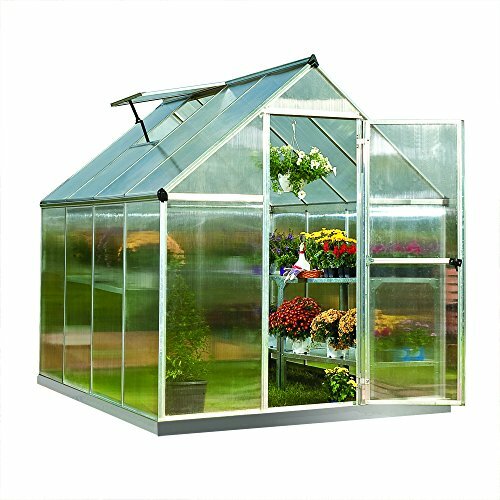 Choose the style of greenhouse that you want. Decide if you want to build it from scratch or choose from a variety of greenhouse kits that will make the whole process much easier. If you choose to build from scratch, now is the time to choose the materials needed to get started. 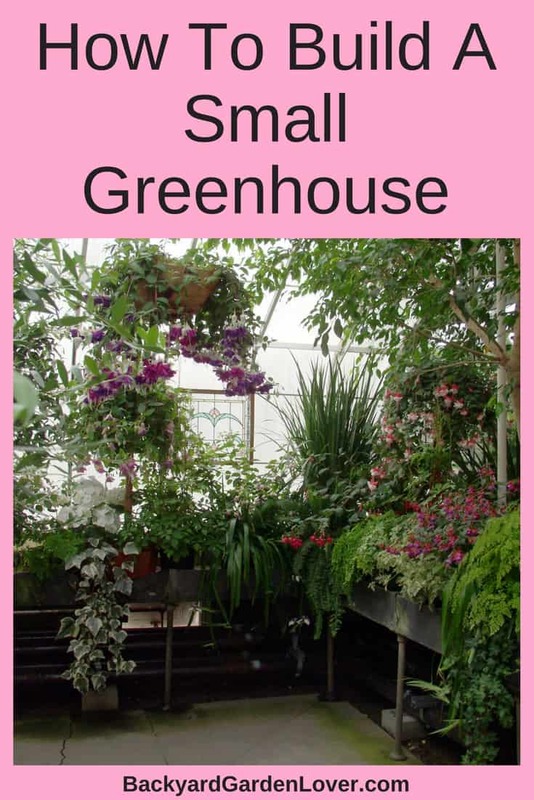 Be sure and figure out how much material you’ll need based on the size of your greenhouse. Choose a pressure treated wood for the framing and you can use fiberglass, polycarbonate plastic as well as glass for the panels. Once your building is in place and you’ve taken care of the ventilation needs and you’re sure there are no leaks, it’s time to have a professional install your automatic control watering system unless this is something you’re qualified to do yourself. 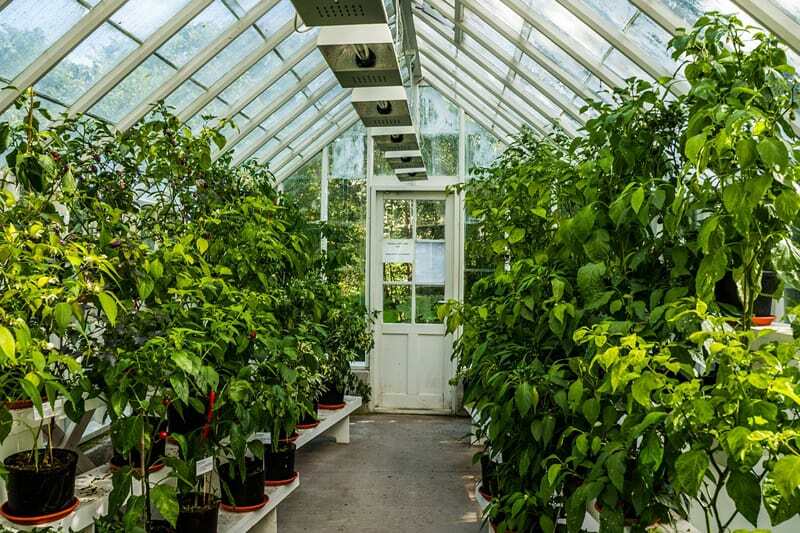 Install a heating and cooling system with thermostat to control the temperature inside the greenhouse. I love this type of greenhouse, because it’s easy to keep clean and organized. With benches on both sides of the green house, staggered at different heights, this arrangement is perfect for those who love gardening, but not getting down in the dirt. I love this arrangement! 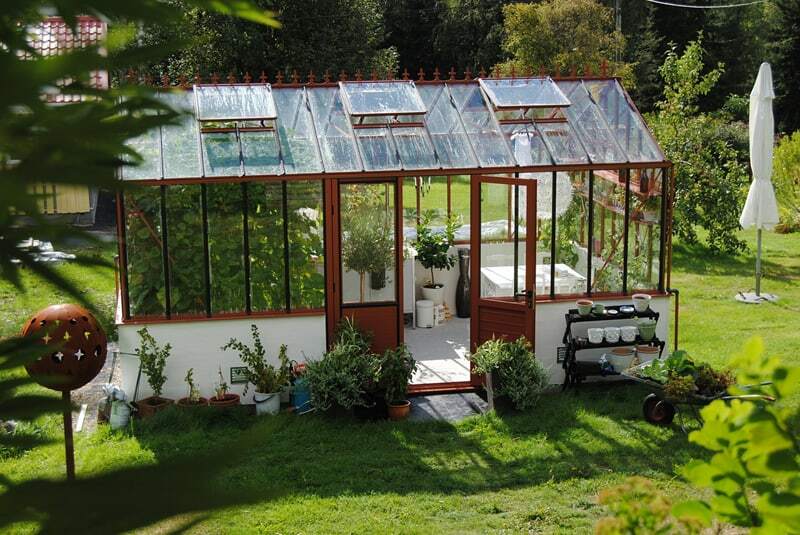 A small greenhouse next to a small pout of land for gardening. Great for starting your plants inside and easily transfer them outside. This is a gorgeous greenhouse! With a nice sitting area on the inside, you can enjoy your plants and a cup of coffee in the morning before getting to work. I also love the color accents, and the nice pots around the greenhouse.